Everyone always asks why Australian actors are so good. Come to the theatre and find out! 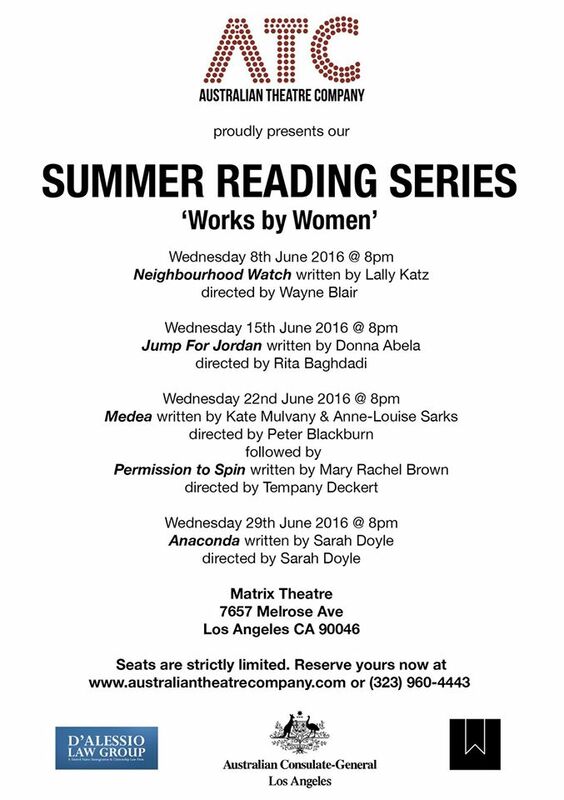 I'm very proud to have co-curated the Australian Theatre Company's Rehearsed Summer Reading Series. 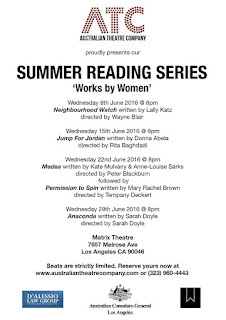 Every WEDNESDAY in June you can see an incredible Australian play read by amazing Australian actors for FREE. I'm directing the amazing PERMISSION TO SPIN on the 22nd of June. Book your free ticket to any or all of the shows now. It's going to be an amazing month of theatre not to be missed.